A post especially written for those people who enjoyed talking about nasty things behind my back, people who shattered my once peaceful existence, people who didn’t mind how miserable I felt during those times. I wanted to hate you but I couldn’t. I was just thankful because guys like you existed. Because of you, I get to think more about my ambitions. Instead of thinking about bad things, I had just exerted my effort in making my dreams come true and I had just spent my time improving myself. You threw me bitter lemons. No I won’t avenge. Karma is definitely in front of you, I would just let it do the work for me. And while that happens, I had already moved on and made a tasty strawberry pancake. 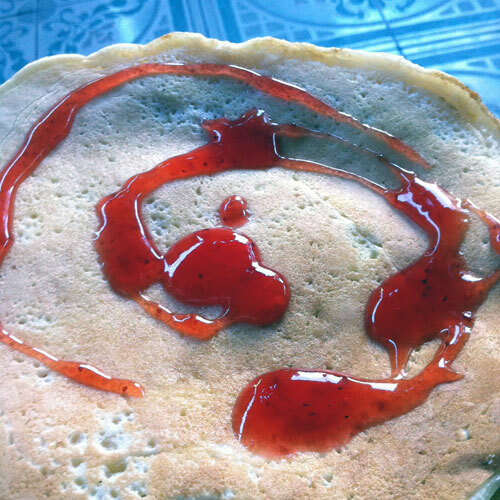 This entry was posted in Just Saying and tagged food, pancake, strawberry. Bookmark the permalink.